A new high quality lifestyle eyewear brand that gives back with each pair of sunglasses sold. 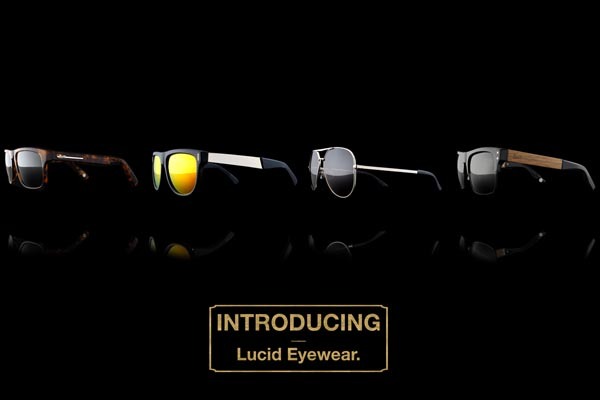 Los Angeles, CA – October 14, 2014 – Lucid Eyewear is proud to announce our official launch with a mission to design, develop and deliver high quality products that help define individuals through lifestyle, culture, music, fashion and desire. The Lucid passion is to positively influence the world by directly giving back with each, and every, product that is sold. Spread The Shade: Spreading the hope of a child’s future with the protective shade of a sleeping net. Together with our customers, we give back by providing a sleeping net to a child in need with each pair of sunglasses sold. Mark Reininga a former professional snowboarder has 6 years of business and design experience that can be seen throughout the brand. His love for arts, culture and giving back are a fundamental part of the Lucid culture. Willie Wood comes from a background in motocross and snowboarding with several years experience in launching new lifestyle brands. He handles the financial side of the business and manages order fulfillment. Brad Farmer brings 12 years for marketing and public relations experience to the Lucid team. Farmer has a history of success in building modern media focused marketing strategies for a variety of sports and lifestyle brands.